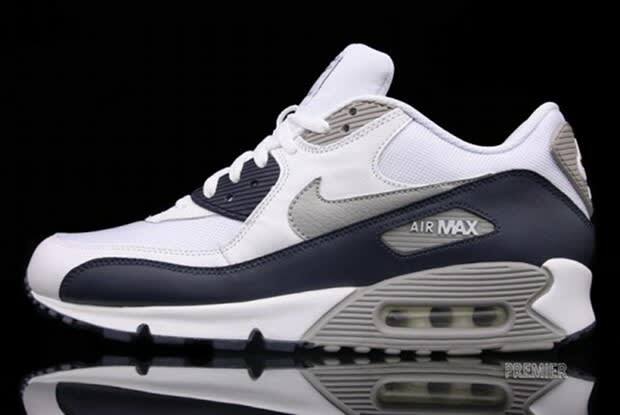 Nike Air Max 90 "Obsidian"
Just when you thought every colorway combination had been done, Nike throws a curveball and comes out with a clean colorway for the hot summer months. A breathable white mesh toebox hits the upper while obsidian and white leather (with grey accents) dresses the rest of this classic. Stay tuned for the official release date, or if you want to grab them now head to Premier to cop.